Kahala is known for its spectacular homes on level lots and stunning beach front properties, some of the most expensive in all of Oahu. Many famous and business moguls have homes here. 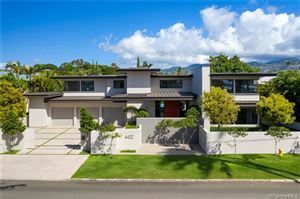 It is a wonderful family community close to Kahala Mall, Whole Foods and Diamond Head with easy access to beaches and entertainment.